If you have an online business, or you drive some if not most of your sales from your website, then prominent listings on search engines such as Google are essential – it’s where your customers are! The art of appearing high within Google’s search rankings is known as SEO or search engine optimisation. The goal, sports fans, is to get your business’ website listed as close to the top as possible. You’ve just finished mowing the lawn for the first time since last summer. Triumphant, you crack open a cold one and drain the sweet, gold liquid from its metal chalice. 4 cans later, you’re hungrier that a hippo and hot for some good eats. 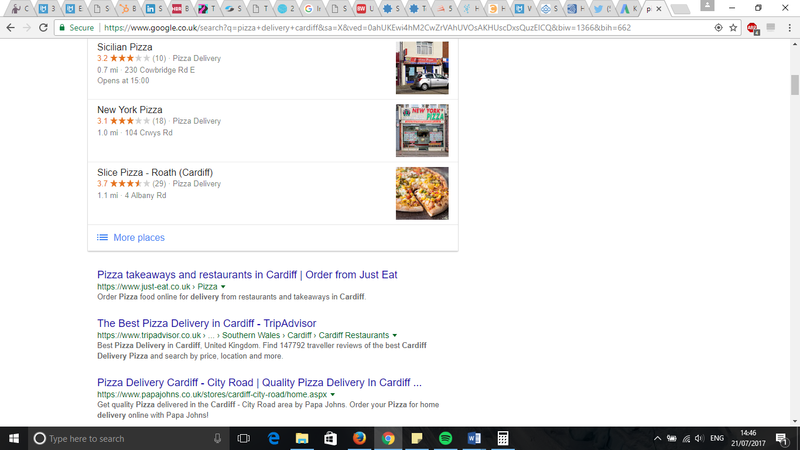 Having decided that only a 16-inch pizza is going to quench your post-mow hunger, you open up Google on your phone and type in ‘pizza delivery cardiff’. Low and behold, a list of Cardiff’s finest pizza joints appears! You select one of the top three (no time for deliberation!) and proceed to call through with your order. Bada-bing, bada-boom! In a nutshell, the businesses at the top of the first page of Google get the lion’s share of all search traffic. In fact, on average, the top result in Google receives 33% of the web traffic for a given search term. 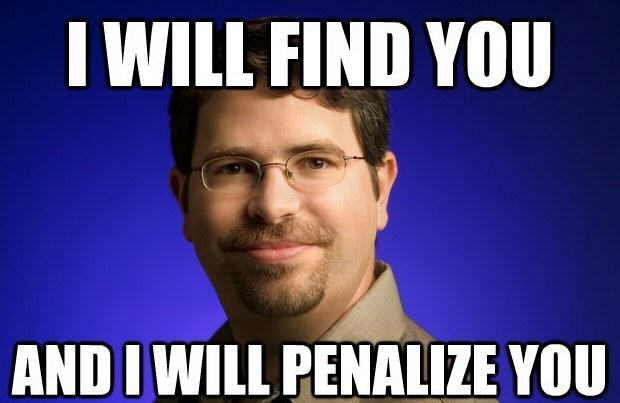 This relates to organic searches only, not the four ads you see first (we will discuss that in a later blog). Cut to the chase-how do you do it? Deemed a science by some, SEO is a complex affair-it takes weeks of hard graft before you begin to see any favourable results in Google. In fact, most marketing agencies that specialise in SEO will tell you it can take anything between 3 & 12 months until you start to see page 1/page 2 rankings. N.B. All three require continuous attention/optimisation in order to achieve high rankings in Google-the bots that crawl sites, as-well as the parameters of the algorithms Google uses to assess SEO criteria, assess all three simultaneously. Keywords are the words or phrases you want to rank for in Google SERPs. For example, if you sell ski holidays to the French Alps, ideally you want your website to appear whenever someone types in ‘ski holidays France’ or variations thereof. Brain storm a range of topics – start with the core products or services you sell and base your initial keyword selection around these. Then, organise your keywords in separate columns in Excel-any other relevant keywords you discover later on can easily be added underneath. Steal from your competitors – if it’s good enough for them, then it’s probably good enough for you, too. Experiment by noting down what search terms your competitors appear for in Google and by checking the source code of each website. This is done by right clicking on a web page and selecting ‘view page source’. You can get a good idea of what words or phrases a page is trying to rank for by using the CTRL + F function. Google Suggest – If you are stuck for ideas, the alternative search terms Google suggests at the bottom of the page can be quite useful, although you will need to check their value and relevance. Start by typing a search term in Google, scroll to the bottom and check out the alternatives Google brings up. Keyword planner – this was once free, but now is only available to paying AdWords customers. 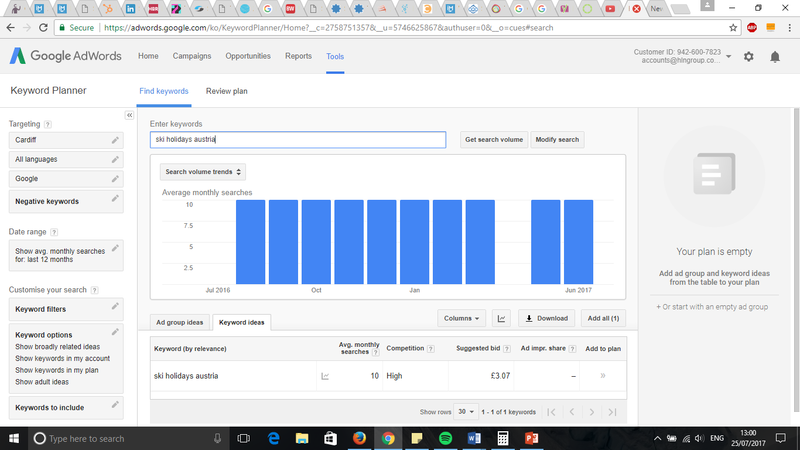 One way of accessing it is by continuously running a low-cost ad’ in Google AdWords-well worth it for the avg. keyword volume data it provides alone. All the keywords you select should be fed through this programme to see how valuable/relevant they are. Try to pick keywords that have high monthly avg. search volumes and low competition – these will provide a decent amount of traffic and will be easier to rank for as less people will be competing for them (compared to those with high competition). Pre-2014, keyword density, the number of times a keyword appears in the copy of a web page, was considered a crucial element of SEO. These days, Google focuses on user intent, good quality content and if a website/page actually solves a visitor’s problem through useful, engaging content. 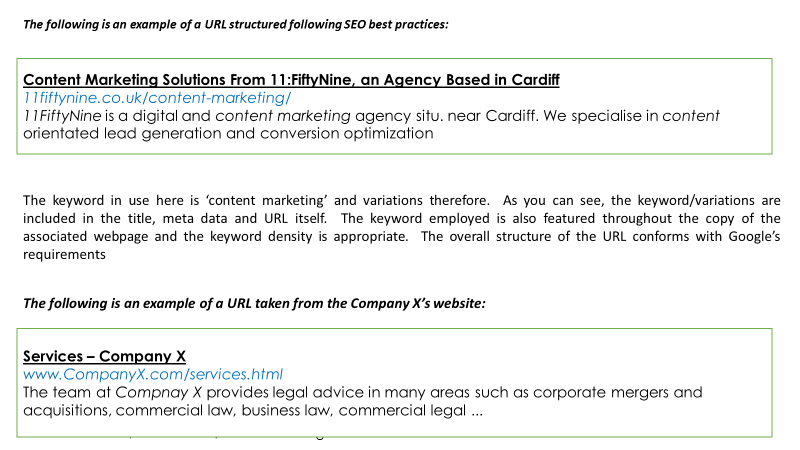 Furthermore, synonyms and keyword variations are also counted, so don’t stress out too much about keyword placement and density-just aim for an outstanding user experience. Essentially, Googlebot, the programme that actually crawls through all the websites indexed by Google, cannot read images, so an alt-description is needed whenever you add an image to a webpage. 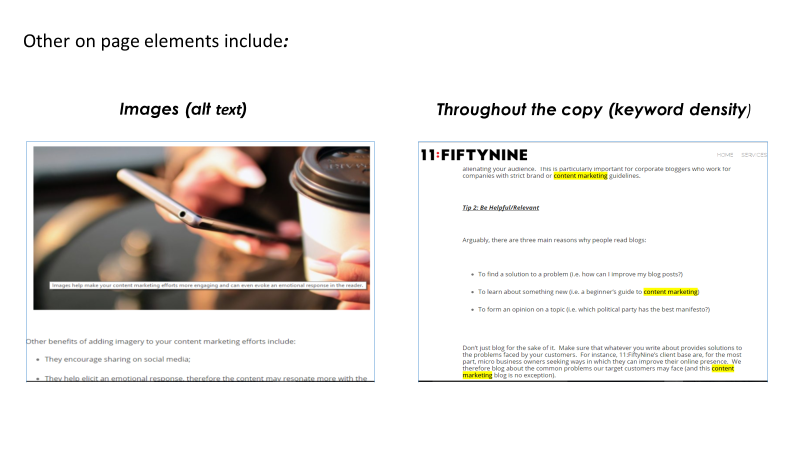 This snippet of text embedded in the image will allow Google to identify when you have used imagery and will allow Googlebot to crawl the page more efficiently. Make sure the alt-description includes the keyword/phrase you are optimising the page for. These are essentially incoming hyperlinks from one web site to another. There is an extremely high correlation between backlinks and website rank and authority. Basically, the web is one big popularity contest-the more websites that link back to your own site, the higher the importance Google places on it. However, quality over quantity is key: 20 decent backlinks, from credible and relevant sources is better than hundreds of obscure, irrelevant links on random websites. Create and share valuable content – as an example, offer to write a guest blog for a company you admire. Be careful: you can’t just email out of the blue and offer to write a blog. There has to be an exchange of value. The content you produce must be of high quality, relevant to the company ethos and must resonate with the company’s client base. The value returned will usually come in the form of a tasty backlink. Submissions – Got newsworthy stories? Submit them to online publications in the form of press releases! These can be tricky to write in a newsworthy fashion and you generally need to know someone ‘in the know’ in order to get them published. However, one interesting press release could be enough to really kick-start your business, especially if the publication itself has a decent reach and a big enough readership. Reviews & Mentions – position your business in front of vloggers, bloggers or thought leaders. For example, if you have a tangible product, the type you can sell on Etsy, offer a sample to someone who blogs about products in your industry in exchange for a review. Vloggers in particular have a huge fan base and social reach (think Zoella). This form of review is also highly targeted as the vlog’s subscribers will likely be the sort of people that would actually buy from you. • Link swaps-asking complimentary businesses to list your website and vice versa (i.e. a ski holiday company championed by a ski apparel company). As previously mentioned, SEO is no walk in the park and we have barely scratched the surface here. In future blogs, we will delve deeper into each of the sub topics mentioned above and will look at other variables such as local SEO. For a no strings attached consultation to learn how we can help boost your site’s rankings in Google, hit the contact page and send us a message or drop us a line!